When people think of cruising, they mostly talk about the Caribbean, Alaska, the Panama Canal, or the Mediterranean. Sailing along New England to Canada is not the first thing that pops to mind. Once it does, however, it makes sense. A typical itinerary typically navigates between Boston/New York and Quebec. 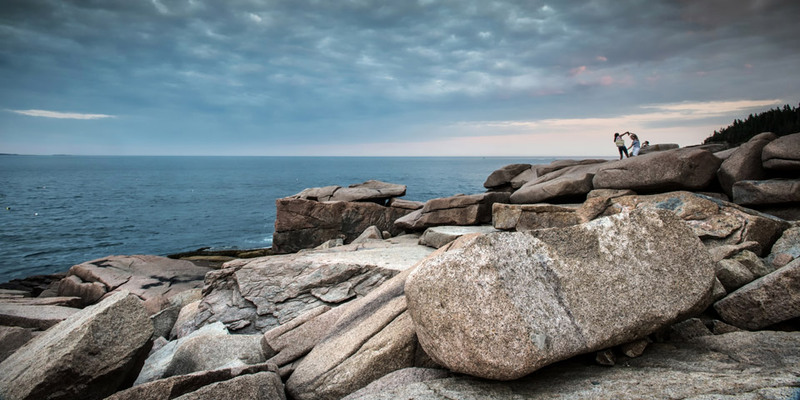 While in New England, you can the coastal scenery dotted with lighthouses and visit Acadia National Park by Bar Harbor. 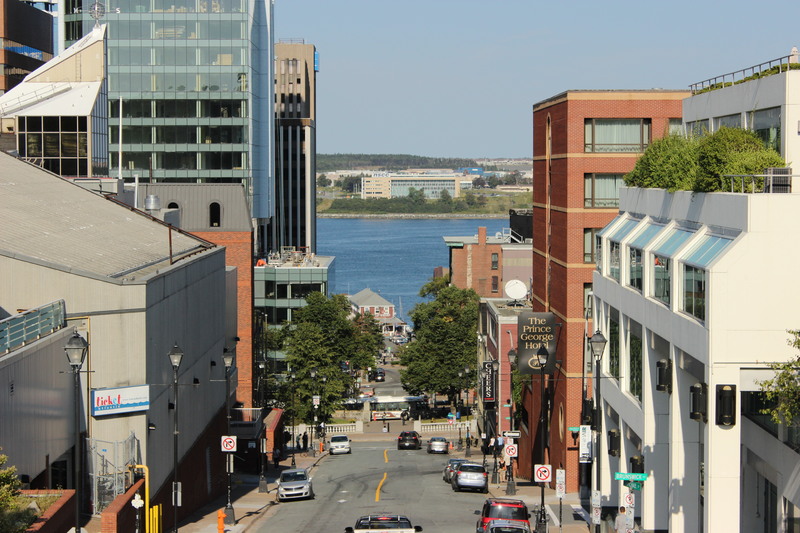 One of the cruise highlights is the natural phenomenon of the Reversing Rapids by Saint John, Canada. To truly experience the change, make sure to be there about an hour before high tide starts. Once it goes into motion, the ocean will start flowing inland. As the tide starts ebbing, the St. John River will once again continue its usual flow into the ocean. Another stop is Halifax, where you find the fishing village of Luneburg, once known as the fishing capital of the world, is now a UNESCO World Heritage Site. Of course, Quebec is a spectacular site with the beautiful Chateau Frontenac towering above the city. Many restaurants and boutiques await as you stroll through the romantic cobblestone streets. Don’t forget to taste Canada’s famous dish “Poutine”! This blog post is the eleventh highlight of twelve, leading up to the National #PlanForVacation Day on January 29, 2019. Don’t let your vacation days go to waste, plan a trip! Every year, my mom and her friend, Tammy, take a trip to Nova Scotia to visit my aunt Danielle and her family. For the past five years, mom has always invited me, but every time I sadly had to turn her down because I’d be heading back to university. But this year, since I’m now graduated, I was able to go on this crazy, fun-filled five day adventure. 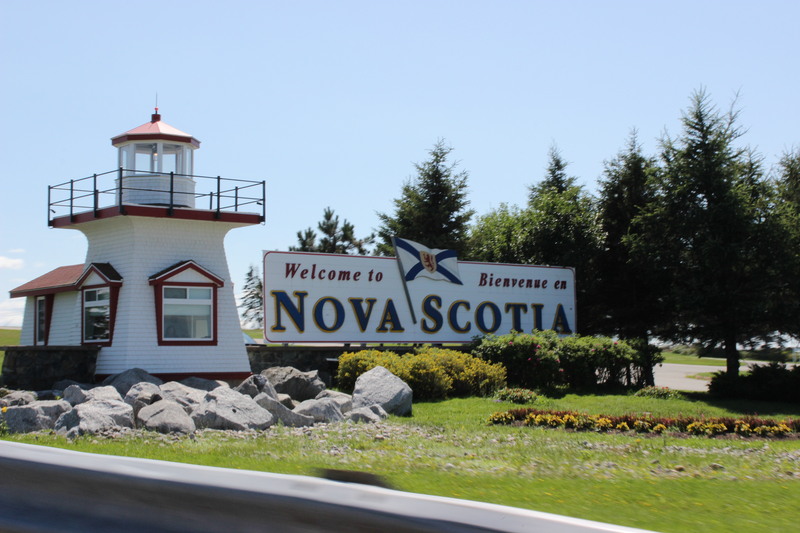 One of the three maritime provinces in Canada, Nova Scotia is rich in arts, culture and history. Having only been to the province once about 10 years ago, I was thrilled to get in the car and make the seven hour drive to Kentville. We stayed at the Sun Valley Motel, which was close to my aunt’s and centrally located to all the attractions we wanted to see. 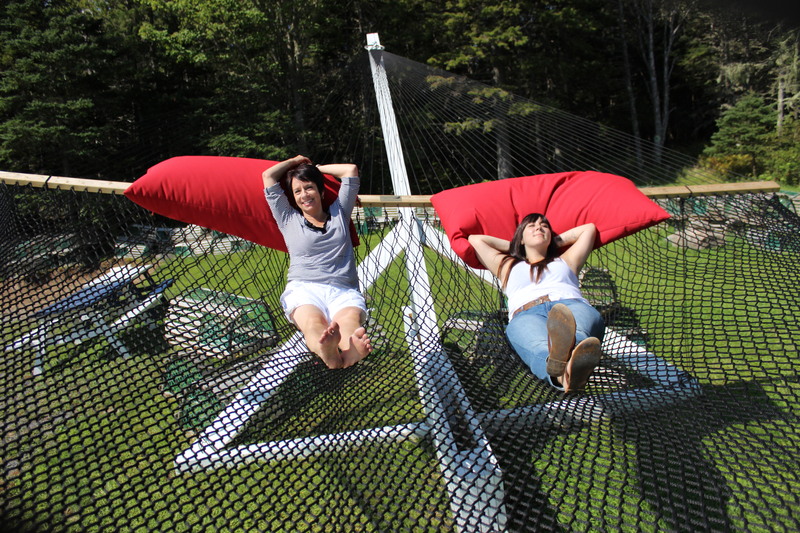 Over three days, we visited many small towns, local beaches and many shops (one which had the largest hammock in Canada!) but I’m only going to highlight my three favorite attractions. 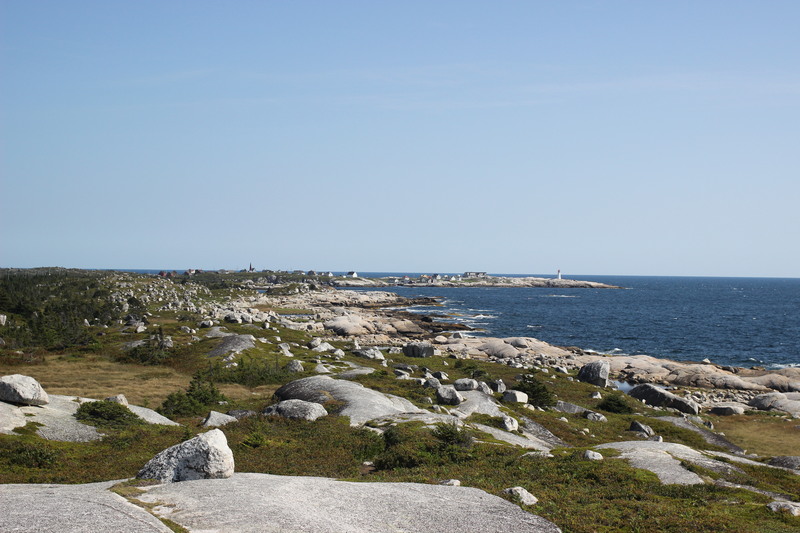 Located in the Coastal Region of St. Margaret’s Bay, Peggy’s Cove is a working fishing village and is only half an hour from the province’s capital, Halifax. Driving by the coast was absolutely beautiful–thousands of boulders were scattered amongst the greenery of the landscape, then as we crested the hill, we spotted the iconic lighthouse perched atop the rocky coast. There’s so much to see in the tiny, picturesque village! Before we started exploring, we had a delicious, fresh Nova Scotian lobster roll, steak fries and coleslaw at the Sou’Wester Restaurant and gift shop located right near the lighthouse. The food was great and the service was fast and friendly. After our bellies were filled, we ventured out onto the rocks and explored the coast. Since tourist season was winding down, it wasn’t as packed as it usually is during the regular season. It was absolutely beautiful: water crashing onto the rocks, seagulls flying above, sun beating down on me and wind making my hair fly. The village is full of locally owned gift shops and crafts shops that feature Canadian and Nova Scotian artists. Down by the docks we saw many buoys, lobster traps, ropes and anchors and boats–it’s a photographers playground! It’s really great to explore the village and talk to the locals–who are very friendly to say the least! Even though Peggy’s Cove isn’t that big, you can also get a map of the village shops from the Sou’Wester gift shop. 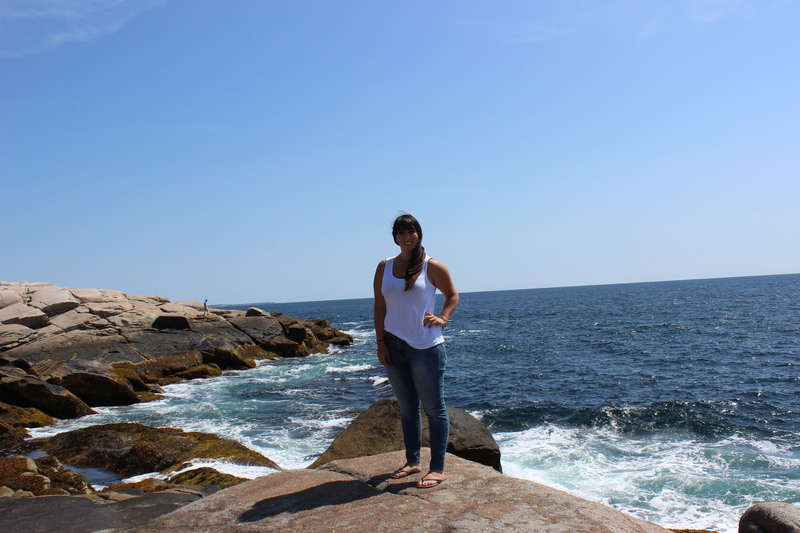 You can easily spend a day at Peggy’s cove wandering around the coast, checking out the shops, visiting with the locals, and learning about the history. After making a sufficient hole in my bank account at the Halifax Shopping Centre, mom, Tammy and I walked the harbourfront for the afternoon. The boardwalk stretches 4 km (10 city blocks) along the harbor, and you can start at either the north or south end. The Historic Properties (north end) gives the history of the city that started in the late 1700s. The old buildings are interconnected so you can travel through them easily. You’ll find many restaurants, bars, boutiques, coffee shops, a barber shop and a bookstore. From there, we wandered onto the Cable Wharf. Here you can get a tour of the harbor, go whale watching, deep sea fishing, tall ship sailing, and go on dinner and midnight cruises. To get the full Halifax experience, get on the land/sea vehicle, the Harbor Hopper–you’ll be sure to get a unique tour. The boardwalk also has the Maritime Museum of the Atlantic which has exhibits about life at sea in the Maritimes. A stop I’d highly recommend (but didn’t get to do) is the Alexander Keith’s Brewery. It’s the beer of Nova Scotia, so why not stop in and get a tour and taste the variety of pale ales? To mark the end of the boardwalk on the south end is the Canadian Museum of Immigration at Pier 21. After exploring various gift shops along the way, we stopped at Black Bear Ice Cream–it was delicious! Best combinations of peanut butter and chocolate chip ice cream I’ve ever had! 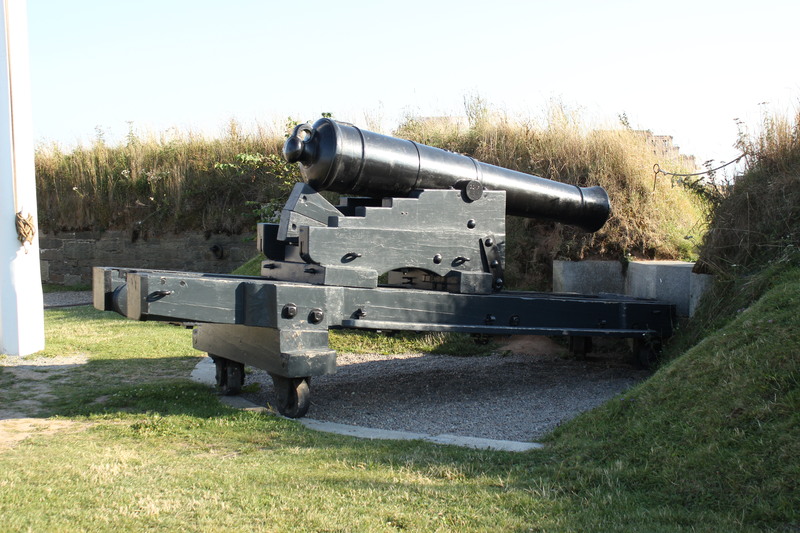 It was later in the afternoon when we hiked up Citadel Hill to the National Historic Site. We walked around the hill and had a panoramic view of the entire city. We wanted to go on a tour but it was too late, the Citadel closed in half an hour, but they let us go in for free to explore on our own. Even though it was a quick visit, it was awesome to see the star-shaped military fort that was built in 1856 by the British to watch over the harbour. Probably my favorite stop, the painted little town of Lunenburg is a UNESCO World Heritage Site and a National Historic District. Even after 250 years the original street plans are still followed and new construction doesn’t replace the history of the town, bur rather adds to it. 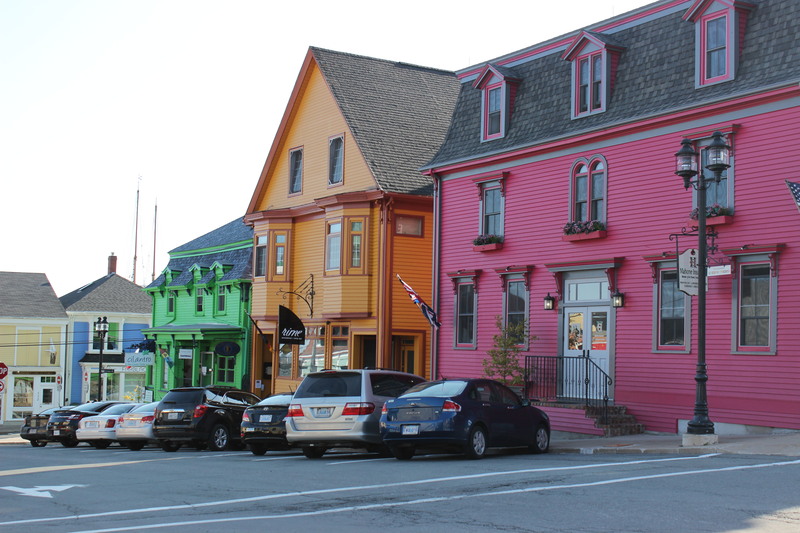 The town people take pride in their commitment in the conservancy of Lunenburg’s heritage. Ironworks is a micro-distillery that makes various flavors of spirits. 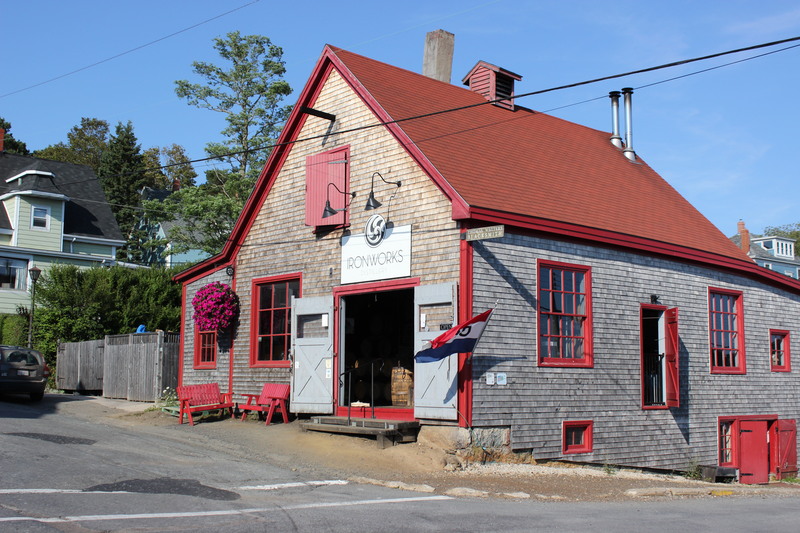 The building was built in 1893 and was originally a blacksmith’s shop that made ironworks for the shipbuilding trade. We stopped in before they were getting ready to close ( I know, bad timing again! ), but it was awesome. The floors were old barn wood and uneven to walk on, spirits were on display, and you can even have a free taste–mom and I had the blueberry liqueur, which was different, but I’d definitely have it again. I highly recommend going in and taking a tour! Walking down the main street and seeing all the buildings painted a different colour was so beautiful and unique! I could’ve easily spent the day there to take photos of every single building because they were all very different. 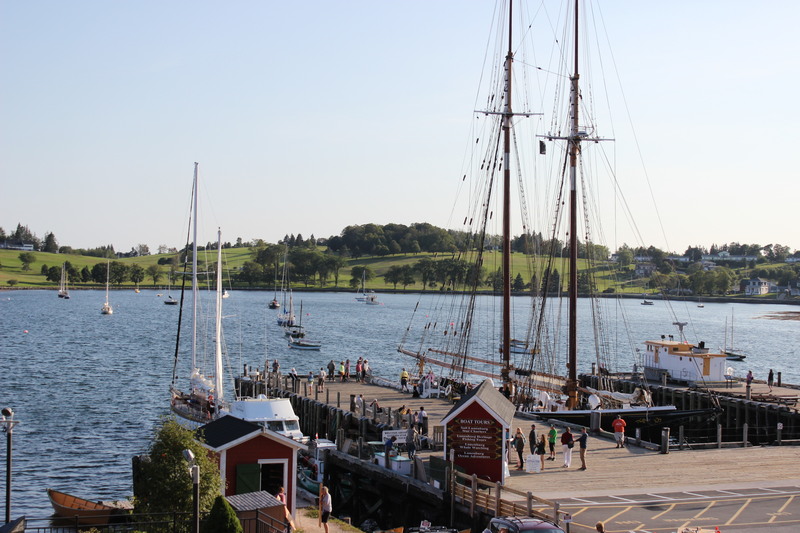 Lunenburg is the home of the Bluenose–which is a famous Canadian icon that you can find on the Canadian dime. The Bluenose is a celebrated fishing and racing schooner that was built in 1921 and went undefeated for 17 years in the International Fishing Challenging Cup. After being wrecked beyond repair in 1946, a replica–Bluenose II–was made in 1963 to commemorate the schooner. 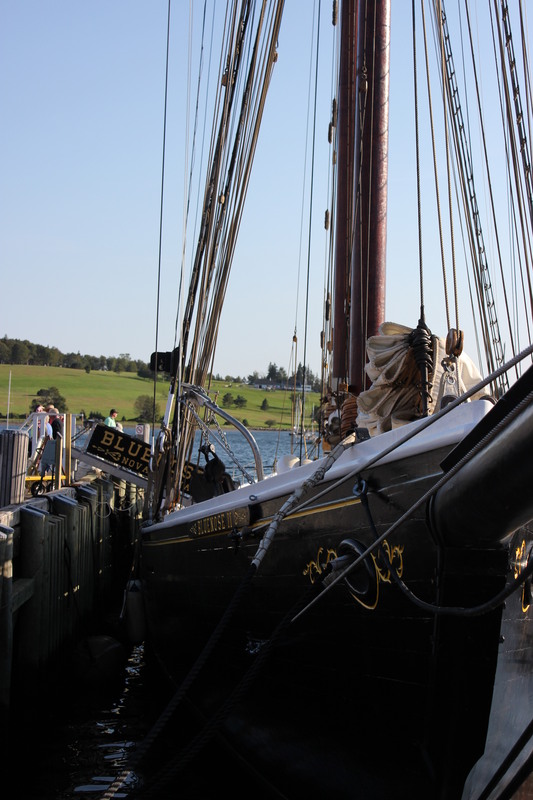 Though under current repairs and no tours are going on, you can see the Bluenose II docked in Lunenburg. There are many different shops and boutiques on the main street to visit, and various galleries that feature local artists. Hand-carved wood, home-made jewellery, ship models, pottery and paintings of maritime heritage are a few things you can expect to see. When we were walking around the waterfront we saw people getting horse-drawn carriage rides to get the history of Lunenburg. It looked like so much fun! 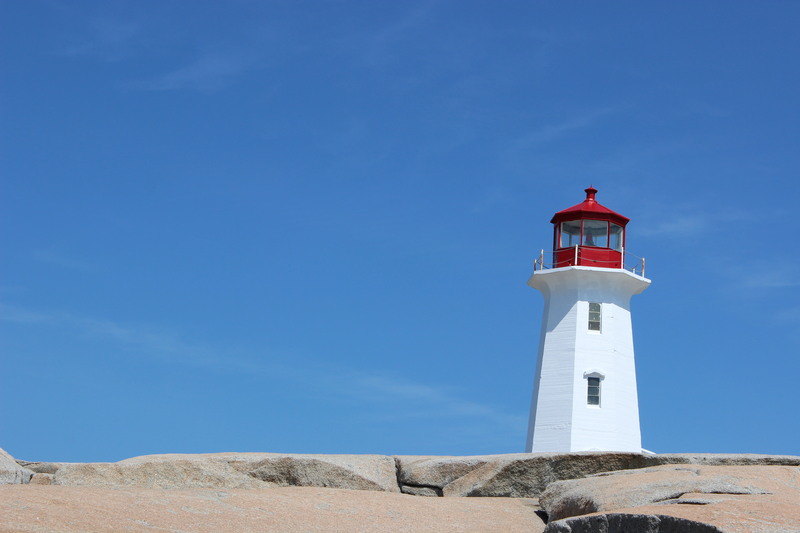 At the Wharf you could also go tall ship sailing and visit the Fisheries Museum of the Atlantic and explore their fishing vessels and aquarium. Nova Scotia is a beautiful province. There are endless things to do and places to see. If you want a different kind of vacation from the traditional tropical paradise, this maritime province will make sure you get an experience of a lifetime. Instead of the typical white sandy beaches, I walked on a red sand/mud beach at Evangeline Beach in Wolfville. I sat in a gigantic Adirondack chair that was in the front lawn of our motel. 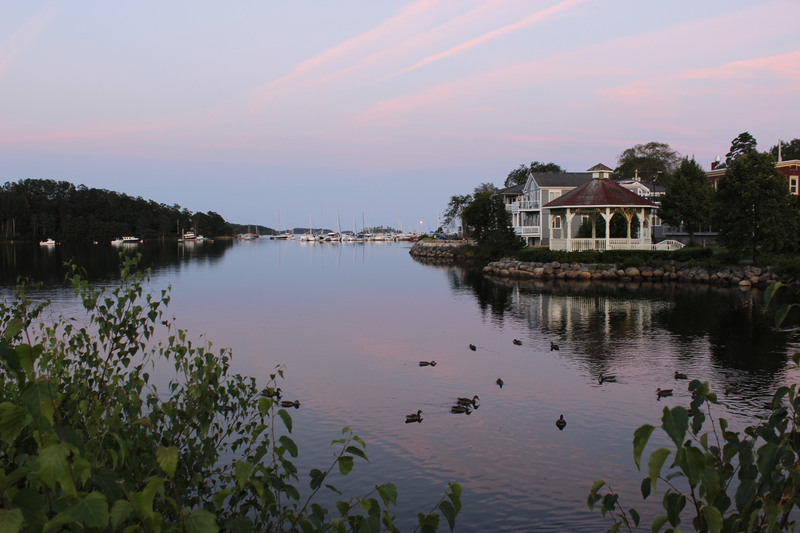 I fed a box of soda crackers to ducks in Mahone Bay while watching the sunset over the bay. It was a different kind of vacation, but I loved every minute of it.